Robert Abbas is 4G,5G, IoT Network Solution Architect, received a Ph.D. degree- in Information Technology -Wireless Data from Dresden Technical University (TU), Germany and Master degree from the Polytechnic Institute of Odessa. Robert has Long term experience in Lecturing, Associate Professor at TU teaching undergraduate and postgraduate students, Research Master Degrees, Research PhD Degrees supervision in the field of Mobile communications, Data Analytics and Computer Networking performance optimization , Wollongong University - Centre for Information Technology Research, network performance development, Antenna diversity project / Vodafone project, Consultant for cell planning and optimization RF Guidelines student Text Book for NSW TAFE Patent Registration - Patent number WPHo413/3026976 in Patent Amt Berlin, field of Mobile Data Communications, Technical University of Dresden / in Germany, IEEE ANZSCON conference 2017 First prize for an innovation smartphone parking location application research project, Consulting as a system solution architect for major international companies in the field of Mobile Communication Technology, Big Data Analytics LTE all IP Networks, LAA, LTE-U ,4.5G with Nokia USA, T-Mobile USA ,AT&USA and Huawei Germany. His research interests and publications are in the areas of 6G, 5G,IoT Data Analytics, and Security, HetNets, RAN Virtualization, V2X, SDN For 5G, Network Slicing , Edge computing/Fog Computing and Software Defined Security. 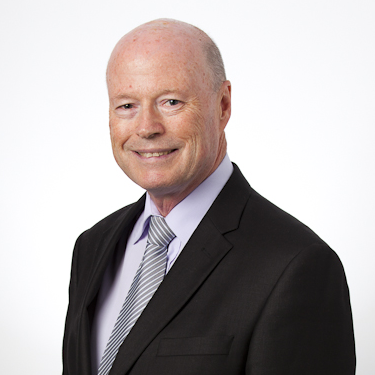 Chris was appointed as Chief Executive Officer of the Australian Mobile Telecommunications Association (AMTA) in 2005. AMTA is the peak industry organisation representing Australia’s mobile telecommunications sector and operates programs covering all aspects of the mobile ecosystem such as telecommunications policy, mobile network infrastructure, radiofrequency spectrum, health & safety, product stewardship / e-waste and recycling, national security, content regulation and consumer awareness & education. 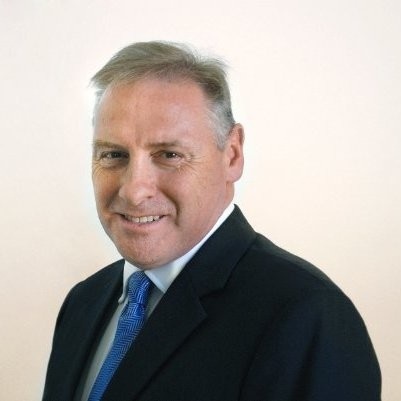 Prior to joining AMTA, Chris held Chief Executive roles with leading national industry associations representing the Australian road transport and logistics industry and the Australian forests and forest products sector. Chris has a Bachelor of Science from the Australian National University; Graduate Diploma in Economics from the University of Canberra; and Business Administration Diploma from Georgetown University, Washington, DC. John’s passion lies in the role that technology can play in driving forward an organisation. As a technologist at heart, his career has been built on his ability to marry ICT and its broadest and most innovative applications with the needs of a business. As CEO of Ultimo Digital Technologies, John has been instrumental in developing their world first supply chain management ecosystem UCOT, which is built on the latest IoT and blockchain technologies and provides total traceability of the supply chain in real time. 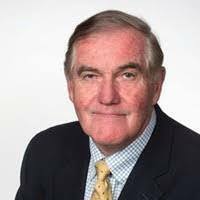 John is currently also Chairman of the Cyber Security Advisory Council of the NSW Department of Finance, Services and Innovation. Previous roles include CTO at Deutsche Bank, VP at Credit Suisse, Technology Manager at Grant Thornton and Head of IT at Toshiba International Corporation. Dallas-based John is a veteran of the mobile industry, a board member for 5G Americas, and a sought-after industry speaker. He heads up the business development team at Mavenir, a software company intent on disrupting the market. 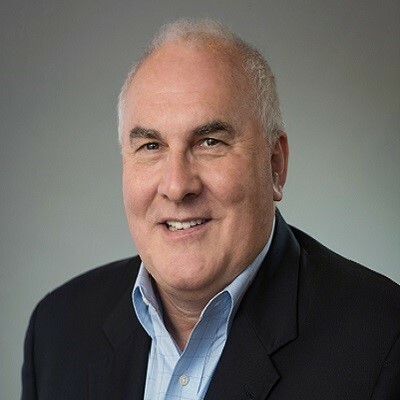 A visionary and driving force behind Mavenir’s business strategy, John is at the forefront of the company’s drive to change the way operators think about the deployment of their wireless infrastructure—taking a software-focused approach to innovation, with no ties to supporting legacy hardware. 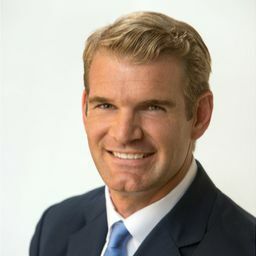 Prior to joining Mavenir, John held senior positions with leading wireless companies including GM Mobility Infrastructure, Spirent Communications, VP& GM Network Solutions, CommScope, VP & GM Base Stations at Nokia and VP of Technology and Chief Technology Officer at Pacific Bell Mobile Services. John also contributed significantly in the development of the GSM standards. He graduated with an honors degree in electrical and electronic engineering from Loughborough University, Leicestershire, UK. 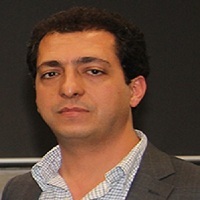 Dr Amin Beheshti is the head of the Data Analytics Research Group, Department of Computing, Macquarie University. He is also the Lecturer in Data Science (Macquarie University) and Adjunct Lecturer in Computer Science (UNSW Sydney). Amin completed his PhD and Postdoc in Computer Science and Engineering in UNSW Sydney and holds a Master and Bachelor in Computer Science both with First Class Honours. In addition to his contribution to teaching activities, Amin extensively contributed to research projects; where he was the R&D Team Lead and Key Researcher in the 'Case Walls & Data Curation Foundry' and 'Big Data for Intelligence' projects. Amin has been recognized as a high-quality researcher in Big-Data/Data/Process Analytics and has been invited to serve and served as Keynote Speaker, General-Chair, PC-Chair, Organisation-Chair and program committee member of top international conferences. He is the leading author of the book entitled "Process Analytics", co-authored with other high-profile researchers in UNSW and IBM research, recently published by Springer. 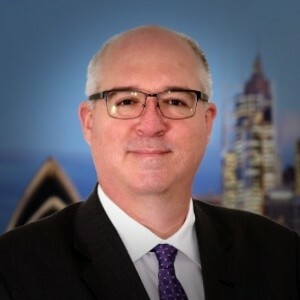 Clay Carter has over 30 years of global investing experience and is currently the Chairman of the Investment Committee at Macrovue, Australia’s only global thematic investment platform. Clay oversees 20 global thematic equity portfolios which include timely themes such as 5G, Disruptive Technologies, Artificial Intelligence, The Internet of Things, Social Media, Car of The Future (Self Driving and electric vehicles), and 21st Century Medicine. Each portfolio holds only ten stocks which best exemplify the underlying theme and are chosen using both quantitative and qualitative techniques. The portfolios are actively managed. Prior to Macrovue, Clay was Head of International Equities at Perennial Investment Partners where he developed and ran the Global Shares High Alpha fund and a high conviction Asian Trust. 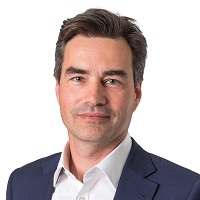 Clay has also held senior investment roles at QBE Insurance, Legal and General Investment Management, and AMP, all involving the management of global equity portfolios. Iain has over 20 years’ experience in research, development and teaching. 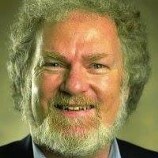 He has held positions of: Head of Department and Professor of Engineering at Macquarie University; Deputy Chief of Division at CSIRO; Research Director and OCE Science Leader of the Wireless and Networking Technologies Laboratory at the CSIRO ICT Centre; Associate Professor at the University of Sydney; Lecturer at the University of Melbourne; and Research Fellow in the Australian Cooperative Research Centre for Sensor Signal and Information Processing. He has published over 300 research papers in the area of wireless communications, and is a Fellow of the IEEE. Maurie is the founder and Managing Director of TeleResources. He possesses over thirty years of experience in telecommunications markets and is an acknowledged expert in the wireless communications industry. Maurie has consulted to many of the world’s international telecommunications operators, major manufacturers and government organisations since 1981. He is a frequent speaker at international conferences on topics ranging from business strategy through technology developments to providing superior customer service. Maurie has many years of experience in managing multi-disciplinary teams engaged in major telecommunications technical studies and projects. Angela is a senior partner in Holding Redlich’s Corporate and Commercial group. Angela has broad commercial law expertise, with a particular focus on the telecommunications, media and technology sectors. 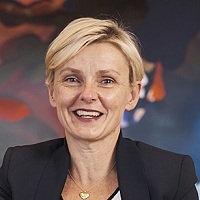 Prior to joining Holding Redlich in 2017, Angela was General Counsel and First Assistant Secretary at the Commonwealth Department of Communications & the Arts, where her role included policy responsibility for telecommunications consumer issues and providing legal advice across a range of issues, including the restructure of the National Broadband Network in 2013-15, spectrum allocation and auctions, deregulatory initiatives across the communications portfolio, the re-write of the Radiocommunications Act 1992 and major telecommunications litigation for the Department. 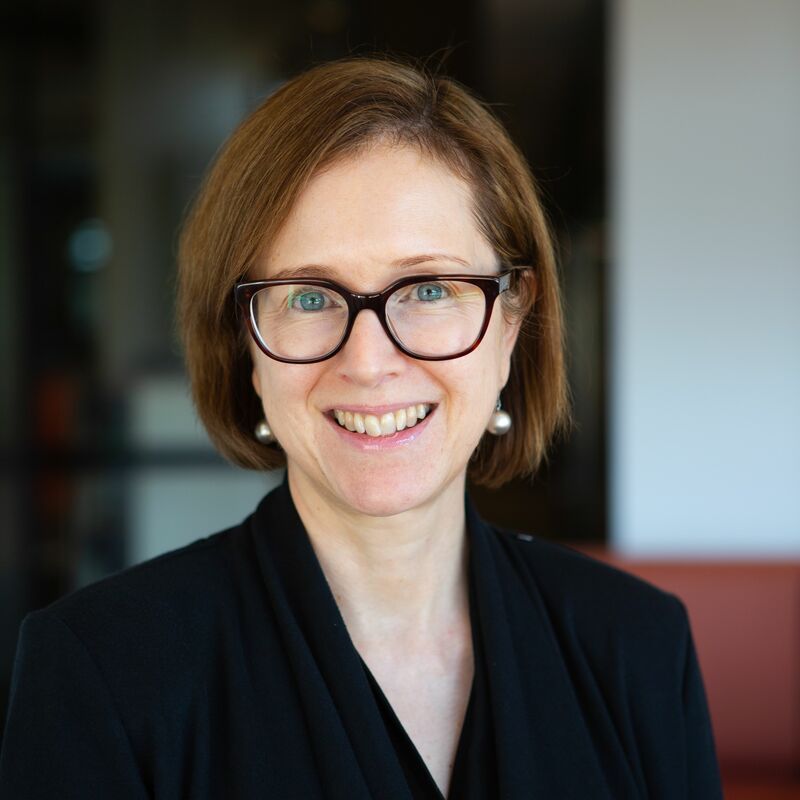 Angela has written in leading industry publications, speaks extensively at conferences and is also an Officer of the Communications Law Committee, International Bar Association and a member of the Law Council of Australia Media and Communications Committee. 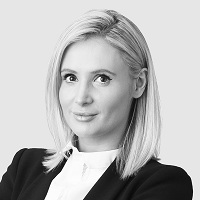 Angela has recently been named as a Data Expert in the Telecoms & Media category in the Who’s Who Legal Data 2019 Guide. Alex Fuerschke is Senior Manager for Building Technology at Dexus where he is responsible for developing a smart building strategy and framework to execute across one of Australia’s largest property portfolios. Alex has held several roles in Information Technology, with over 20 years’ experience gained in organisations including Dexus, Deutsche Bank and UNSW. Prior to his current role, he led the application and software development team at Dexus. Educated in architecture, and with 15 years working in the property industry, Alex has been able to blend his passions for technology and the built environment to deliver people centric solutions. Ron has developed a significant reputation as the “Go To” executive for organisations who are looking for significant growth, transformation, asset leverage, good governance and/or quality leadership. He has an extensive track record of rapidly achieving success regardless of how difficult the challenges, through the development of a visionary strategic plan that all stakeholders buy in to. He enjoys taking organisations yet to realise their growth opportunities, setting them on a journey of reaching that potential. Ron has an innate ability to navigate through complex environments & stakeholders generating opportunity & growth despite any adversities, challenges or industry. He is recognised as an inspirational leader with a reputation for getting the best out of his teams and getting things done. He is also a strong keynote speaker at corporate events, conferences and development workshops. Examples of previous roles that Ron has held include Interim positions as CEO at Fed Square, Melbourne Storm, and Melbourne Polytechnic (Formerly NMIT). As CEO & MD of the Melbourne Storm, Ron navigated the club to success post the Salary Cap scandal that rocked the sporting world. Despite not having any direct experience in rugby league, he oversaw the restoration of the Storm to what was at that time its most successful level since its inception in 1998 and the club is now an NRL powerhouse. Gauci built and implemented a recovery strategy for the financially challenged Melbourne Polytechnic. Today the institute is recognised as one of the leaders in dual sector education in Australia. Gauci has also held senior positions in some of the largest multinational and domestic technology organisations. 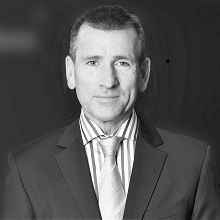 Gauci is a Graduate of AICD and has extensive Board experience across a variety of different industries including being Chairman of Vicsport. He is also a powerful executive coach. Emma Hendry, Hendry CEO is an experienced executive driven by a goal to create safe and sustainable communities. Emma is a renowned and respected industry leader and strategically pursues ventures that transform how things ‘should be done’, driving industry forward and championing innovation to propel the sector globally. Emma is driven by innovation and finding ‘better, smarter ways’. Under her leadership Hendry continues to lead the built-form advisory industry with innovative solutions and new technologies. Championing collaborative, solution-driven operations has led Emma to implement projects and partnerships with universities, research institutions and other commercial entities. As CEO Emma has achieved recognition of Hendry, in 2018 Ranking 53rd in the Prestigious AFR Top 100 Most Innovative Companies List, as well as named finalist for a slew of industry awards. Recently Emma was named CEO Magazine Building & Construction Executive of the Year & awarded IML Emerging Leader of the Year. As a female CEO in a male-dominated industry she is an active role-model, and passionate about promoting diversity, with a focus on supporting women to pursue leadership roles. 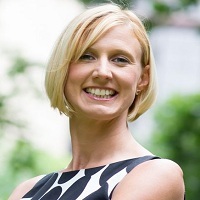 Emma Hendry is an active keynote speaker on topics such as Smart Cities, Proptech, Data & the Built-Environment, Industry 4.0, leadership & diversity. graduated with an Executive MBA with distinction. Leonie is the Chief Economist at the Department of Communications and the Arts. Leonie heads up the Bureau of Communications and Arts Research (BCAR) in the Department, which supports the department and government in the development of evidence based policy and advice regarding the communications and arts sectors. Published research includes analysis on affordability; 5G mobile technology; demand for data and bandwidth; and the role of creative skills and cultural and creativity in Australia’s economy. Leonie previously worked at the Productivity Commission and Commonwealth Treasury and lectured at the Australian National University. CEO at Launtel with my personal focus being on technology innovation and system design. Creating systems that make business life easier. We're building a telco that's fair, transparent and most importantly delivers solutions tailored to the needs of the customer. We like to work collaboratively with other organisations that have the customer at the centre of what they do. Oh and I'm happy to back up my words with actions - Launtel offers ShortPay - if you don't think we've lived up to what our invoice to you shows, just cross out the amount and pay what you think it's worth. 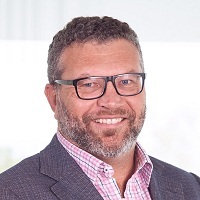 He has 30+ years of executive experience and has been a leader for IBM Australia/NZ leveraging India, China, Philippines, Vietnam, Egypt, Romania, Brazil & Argentina. Satoshi received his B.E. and M.E. degrees from Tokyo Institute of Technology, Tokyo, Japan, in 2001 and 2003, respectively. In 2003, he joined NTT DOCOMO, INC. He worked for the research and development for wireless access technologies for LTE, LTE-Advanced. 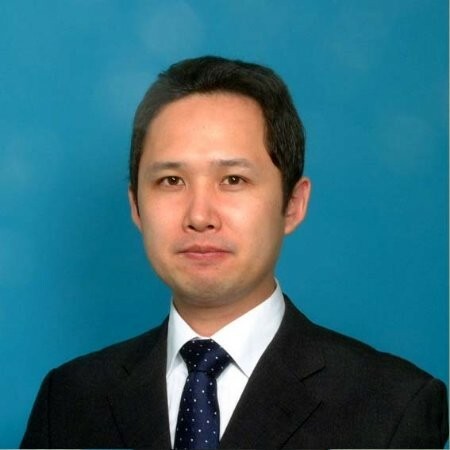 He is currently a senior research engineer working for 5G and 3GPP standardization. He had contributed to 3GPP over 10 years, and contributed 3GPP TSG-RAN WG1 as a vice chairman during November 2011 to August 2013, and also contributed as a chairman during August 2013 to August 2017. He is currently a vice chairman of 3GPP TSG-RAN since March 2017. 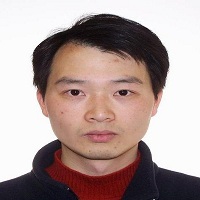 Dr Wei Ni was awarded BE and Ph.D. degrees in Electronics Engineering in 2000 and 2005, respectively, both from Fudan University, Shanghai, China. He is a Team Leader at Data61, CSIRO, and an adjunct professor at the University of Technology Sydney (UTS). Prior to this, he was a Senior Researcher at Nokia Devices R&D (Jan 2008 – March 2009), and a Deputy Project Manager at Alcatel-Lucent Bell Labs Research & Innovation Centre (Jan 2005 – Dec 2007). His research interest includes optimization, game and graph theories, and their applications to the integrity, security, and efficiency of Cyber-Physical System. Dr Ni has published over 150 journal and conference papers, and been leading a number of industrial research projects or their critical communication and networking components, such as DARPA SubT Challenge. He has contributed significantly to the industry with 25 patents and 10 accepted standard proposals. His scientific breakthroughs include the world's fastest wireless broadband demonstrator; patented adaptive topology of software-defined radio network; and unprecedented quality-of-service provision to unreliable energy-harvesting powered wireless links. His patents have been officially referenced by over 260 patents with a strong impact on industrial roadmaps. Dr Ni serves as Vice Chair of IEEE VTS NSW chapter and Editor of IEEE Trans. Wireless Communications since 2018, served as Secretary of IEEE VTS NSW chapter (2015 – 2018), Editorial Board Member for Hindawi Journal of Engineering (2012 – 2015), Track Chair of VTC2017-spring, Track Co-chair of VTC2016-spring, Publication Chair of BodyNet 2015, Student Travel Grant Chair of WPMC 2014, TPC member of ICC’16-CoCoNet, ICCC’15, ICC’14, CHINACOM 2014, EICE2014, and IEEE WCNC 2010. He is a Senior Member of IEEE. 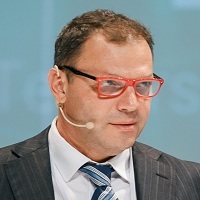 Marios Nicolaou is an international expert on digital transformation and 5G strategy. He is currently focusing on the implementation of Industry 4.0 and the digitalization of vertical sectors including the new value through 5G. He is also an expert in the strategic implementation of 5G across consumer and vertical segments and how this can be enabled with the phaseout from legacy and the optimal utilisation of spectrum. Marios worked extensively in companies like Alcatel-Lucent and Nokia with a focus to help large operators evolve their converged networks while maximising market value. He has also invented innovations which have gone to market successfully and he is often invited to 5G conferences as a thought-leader in the area of 5G business models. Marios holds an MSc in Engineering Management from the University of Southern California and a BSc in EE from the University of California Irvine. Jodie chairs the Global Alliance of Data-Driven Marketing Associations (GDMA), a consortium of 27 data-driven marketing associations around the world with a mandate to advance and champion responsible global marketing and advertising. She is also a nonExecutive Director on the Board of Amaysim, Australia’s fourth largest telco. Matthew Schultz is internationally recognised as a Smart City expert and Digital and Data Transformation practitioner. He has extensive experience and leadership expertise in telecommunications connectivity, city data, internet of things and spatial visualisation and analysis of data. An accomplished and experienced executive with over 24 years of experience, Matthew has deep expertise and expert knowledge in the Information Technology, Telecommunications, Digital Economic Development, Geospatial and Civil Engineering fields covering leadership, management, consulting, and technical roles. In recent years Matthew led the establishment of the award-winning Fire Station 101 (www.firestation101.com.au), the 1st fully funded local government Innovation and Startup Hub in Australia and currently oversees the award winning Ipswich Smart City Blueprint and Implementation Plan, which seeks to entrench Ipswich as Australia’s most progressive Smart and Connected City. 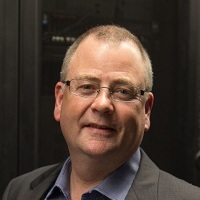 Matthew is also National President of the Australian Smart Communities Association, a rapidly growing Australian peak industry association for Smart Community, Broadband and Digital Economic Development with members across Australia and New Zealand. 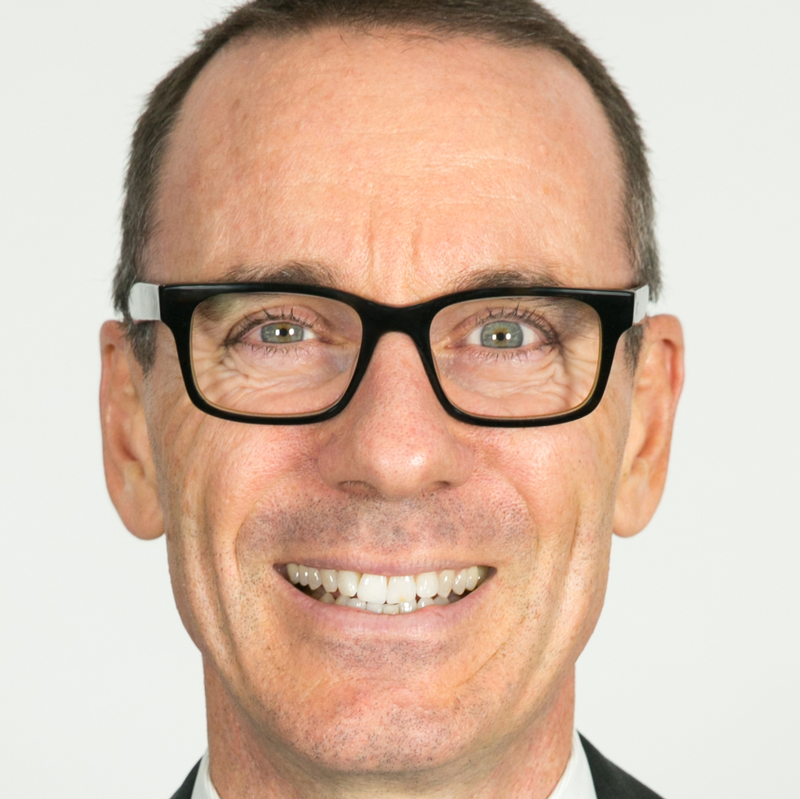 He is also an inaugural Board Director of Open Data Australia, a member of Open and Agile Smart Cities Australia, Standards Australia IT­042 Internet of Things Standards Development Committee and Standards Australia Smart City Standards Development Committee. In addition, Matthew has also positioned Ipswich City as a Top 7 worldwide Intelligent Community for 2015, 2017 and 2018. “With ten years’ experience in gaming, esports & technology, Chris is the founder & director of BIG Esports (www.bigesports.gg) – Servicing the industry through education, consultancy, strategy and management, with a goal of driving more business into, and knowledge of, esports. Chris’ experience is wide-ranging, coming from his history in semi-professional play, community & national event coordination, game commentary, community management, business development, consultancy and PR & marketing across esports, gaming and enthusiast technology. John is a seasoned communications industry executive with over 18 years of experience. From 2006-2009, he was Chief Executive Officer of ASX and NZX-listed telecommunications carrier, People Telecom. Under his leadership, People Telecom became profitable and was recognised as Australia’s Best Regional Service Provider in the Australian Telecom Awards 2007. In early 2009 the Company was sold to M2 Telecommunications. Prior to that, John was an executive with Intelsat, the largest provider of fixed satellite services worldwide. Based in the UK from 2001-2005, he was President and Director of Intelsat Global Sales & Marketing and of the Data, Carrier and Internet Business Unit. He also spent two years in the US with Intelsat as Vice President of Sales and Marketing from 1999-2001. John joined Telstra in 1992 as a result of the merger with OTC where he was Manager of Public Affairs. From 1992-1999, he held a number of roles with Telstra including Managing Director of Payphones and Card Services. From 1996-1997 he was also Chairman of the Intelsat Board. In his early career, he worked as a journalist and as a press secretary with the Australian Government. With a track record in collaborating across industry, education and government to deliver national, state and regional outcomes, Todd is a metrics driven executive with a reputation for supporting entrepreneurial and regional growth by building effective partnerships. Todds ability to work strategically and successfully with a board of directors and lead large and dispersed organisations has affected organisational change, significant business growth and cultural transformation. Currently Director of the NSW Cyber Security Network - established in January 2018 by the NSW Government and NSW’s universities to address cyber security challenges in NSW – I am leading teams across industry, research, education and government that determine imperative cyber security issues and engage experts to develop and implement strategies to address them. Todd has international experience as a presenter on topics including smart specialisation, economic development and innovation, I am working to maximise NSW’s capabilities in the cyber security area and position the State as an international leader in cyber security. He has executive education from Harvard University and INSEAD is complemented by Masters Degrees in Business. I am a fellow of the Australian Institute of Company Directors (AICD) and trustee of the Committee for Economic Development Australia (CEDA).